Now you can invite Tony Stark into your home (and collection) with a massive 1:1 scale life-size bust replica of his classic Mark III armor. Sideshow Collectibles’ Iron Man Mark III Life-Size Bust measures over 26 inches tall and is inspired by the cinematic debut of Iron Man’s iconic red and gold suit. This bust features a detailed sculpt and paint application as well as a light-up arc reactor and eyes in the faceplate. 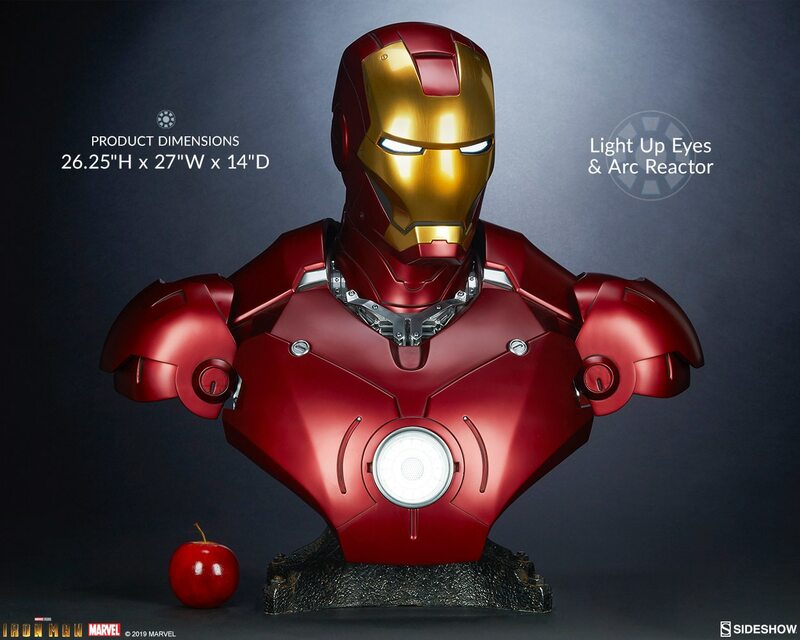 Pre-orders for the Iron Man Mark II Life-Size Bust will begin on Thursday, April 18th between 12pm-3pm PDT and will be priced at $1,250.00 USD.